Couples can choose from many amazing things to see and do in Austria. From scenic mountain lakes to great music and museums, your trip to Austria can be as active or relaxing as you like. Our list of the best romantic getaways includes historic castle museums, hip affordable city hotel, spas and many other options. Austria is a four season destination: swim in the lakes in the summer, ski in the Alps in the winter and enjoy unique events & festivals throughout the year. Hotel Sacher Salzburg is a luxury vacation getaway in Austria and home to the famous Sacher cafe. The hotel is located on the banks of the River Salzach, featuring luxury interiors and 113 guest accommodations decorated with original works of art, antiques, carpets and wall hangings. Vacationers staying at this stylish hotel in Salzburg have access to the city's music and theater venues. If you like to stay active while on vacation, work out at the hotel's health club which comes complete with modern equipment, sauna, solarium and steam room. Ask for one of the balcony rooms on your luxury getaway to Salzburg. Room rates at the hotel start at 410 Euro per night. VacationIdea.com Tip: Ask for the "Sacher & Shopping" package which includes: 2 nights, welcome gift, limo to the shopping mall and a Sacher cake. Rates start at 614 Euro per night. Ask for the "Romantic Arrangement" offer which includes: wine, cake, pralines, 4-course dinner and buffet breakfast in the morning. From 460 Euro per night. 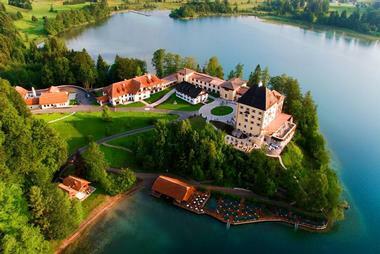 Get treated like a princess at Hotel Schloss Fuschl, a historic castle vacation getaway located on a lake. The hotel is located close to the City of Salzburg and was built in 1450. If you vacation at the castle in the summer, you will be able to swim in the lake and play golf. In the winter , the area offers Nordic walking and skiing. The hotel spa has views of the lake from its indoor pool which is open year-round. The hotel offers 65 rooms, 39 suites and six lakeside cottages. If you are staying in a suite, you get to choose from different decor styles: Renaissance, Empire, Baroque or Biedermeier. Get married in a historic Austrian castle with spectacular lake views. The hotel is offering a package which includes: rooms with a view, breakfast buffet and champagne. Ask for the package which starts at 200 Euro per person. The hotel is offering other packages and specials as well, including holiday, luxury and romantic specials. Spend your next Christmas in the historic castle with the "Christmas Magic" offer which includes: 3 nights, champagne, and a Christmas menu. 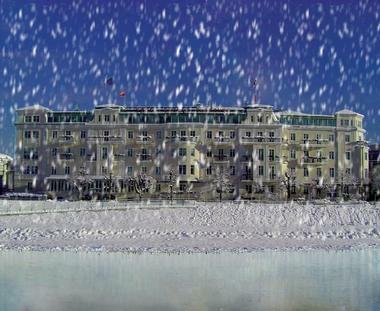 The Christmas offer starts at 1,071 Euro per person for three nights. Rooms at the hotel start at 500 Euro per night. Thurnher's Alpenhof in Austria is a luxury ski vacation destination, offering its guests five star service, elegant dining and a European health spa. 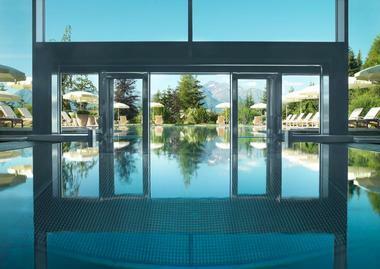 The hotel has 14 guest rooms and 24 luxury suites suites with scenic views of the Alps. The hotel has been family owned for 45 and prides itself with the highest level of service and attention to detail. The hotel spa has an indoor swimming pool, sauna, steam bath, solarium, a relaxation area, panoramic roof terrace and a fitness room. On your ski trip, you will have access to more than 80 modern mountain railways and lifts (250 kilometers of ski slopes) straight from the hotel entrance. Doubles at the hotel start at 490 Euro per night. 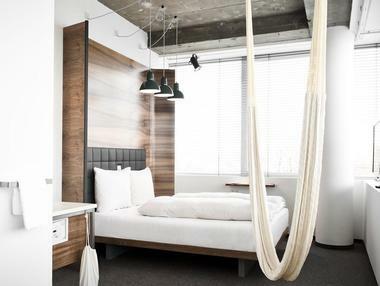 The Levante Parliament is a stylish design hotel in Vienna. There are 67 rooms, including 5 suites which feature black and white photographs by Curt Themess, glass vases by Romanian glass artist Ioan Nemtoi, as well as under-heated floors. The rooms have individually adjustable air-conditioning systems, free wireless Internet, flat screen TVs, mini bars, full-length mirrors, and laptop size safes. There is 24-hour room service, reception, concierge and personal limousine transfer from and to the airport. There is a beautiful 4,305-square-foot garden lounge that is perfect for events, press conferences, product presentations and celebrations. The Nemtoi Restaurant-Bar serves Austrian specialties in a contemporary setting. Rooms start at 145 Euro per night. Hoteldorf Gruener Baum is a romantic mountain getaway in Austria, complete with a wellness center, several accommodation options and beautiful mountain scenery. In the summer, play golf on a 18-hole golf course in Gastein, or drive to other courses in the area. In winter, there is cross-country skiing on 90 km of trails, and downhill skiing accessible with the hotel's shuttle bus. The Wellness und Spa center at this mountain getaway offers a swimming pool, beauty and thermal treatments. Room categories at the hotel include single and double rooms, single and double Superior Rooms, Apartments, double Junior Suites, a Ladies Suite for one guest, and Family Apartments. The Family Apartments have two bedrooms, a living room, a balcony and are perfect for a family vacation. Meals are served in the main house and will leave you ready for your outdoor mountain getaway adventures. Fly to the Salzburg airport in Austria, 95 km from the hotel. The hotel can arrange airport pickup for a fee. You can also rent a car, or take a train to Bad Gastein. Rates include breakfast and range from €65 for a single room in the low season and €94 in the high season. A Double Junior Suite is €130 in the low season and €277 in the high season. 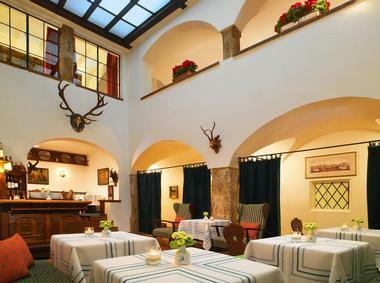 Hotel Goldener Hirsch is located in the historic city center of Salzburg, Austria. Festival Hall and Mozart's house are just steps from the hotel. The hotel has 65 guest rooms and suites, many furnished with handmade furniture and original antiques. If you want to immerse yourself in the city's rich history, a stay at this romantic European hotel will do just that. The hotel is a member of the Starwood Luxury Collection, offering an expert concierge, Business Center, in-room dining and other luxury services. The hotel restaurant serves traditional, fine Austrian cuisine complemented by local and international wines. 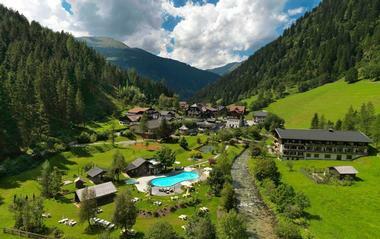 The Austrian Alps, known for their beauty and hospitality, are a great winter and summer getaway. In the winter, skiing in the Alps is legendary, while in the summer there is hiking, mountain biking and golf. Gasthof Post has a feel of a luxury country inn with 39 rooms and suites furnished in warm Alpine style. This Austrian getaway has been family-run since 1937 by the Moosbrugger family, and is now a member of the prestigious Relais & Chateaux group. 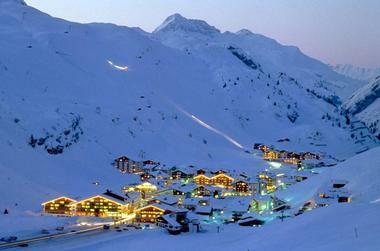 The hotel is located in Lech am Arlberg, a mountain resort 4,750 feet above sea level. In the winter, the area offers 88 ski lifts and 160 miles of skiable terrain. The hotel can arrange private ski lessons and book ski passes. The wellness center has an indoor pool with floor-to-ceiling windows. Arrive for your treatment early to relax in the steam bath, Finnish sauna, and work out in the fitness room. After a day out skiing on your winter vacation, treat yourself to a relaxing massage. The restaurant serves award-winning cuisine prepared using local produce. The wine list includes a selection of European and Austrian wines. Add one daily meal to your room rate for only Euro 30 per day. From cozy single rooms to spacious suites, the property offers a choice of accommodations for families, groups, couples and singles. Single rooms measure between 18 and 25 square meters in size, complete with a bath tub or shower. Double rooms let you enjoy a cozy corner seating area, and 26 to 34 square meters of living space. Bathrooms have a bath tub, and many double rooms have a private balcony. Jager rooms are decorated with refined, rustic furniture, these rooms have a bathroom with bath tub. The Postillion apartment offers 40 square meters of living space, corner seating area and tiled stove or open fireplace. The 50 square meter Postmeister apartment has a living room, a tiled stove or open fireplace. Herzog suite has a bedroom with a double bed, screened-off living room, open fireplace or tiled stove, bathrooms with bath tubs, WC and shower with steam bath. Fursten suite measures 60 – 80 m² with double bed and separate or screened-off living room. Ask for a layout with a private terrace. At 114 square meters, the Kaiser suite offers most spacious layout, complete with stunning views of Zuger valley. There are two private balconies, bathroom with a free standing bath tub, separate shower and steam bath. Doubles start at € 210 in the winter and at € 120 in the summer. Zurich international airport is 125 miles from the hotel. There you can rent a car, or take the train to Langen am Arlberg, which is 10 miles from the hotel. Taxi service is available at the train station (+43-5583-2206-0). 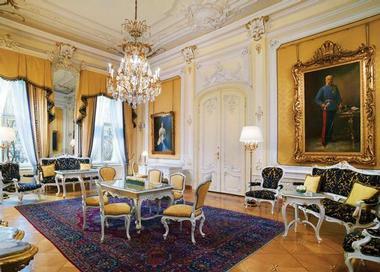 Vienna is one of the top cultural cities to visit in Europe and what better way immerse yourself in the city's rich history than booking a room at a great historic hotel. Hotel Imperial, Vienna used to be the home of the prince of Wurttemberg until it was transformed into a hotel in 1873. The hotel is famous for its five star service and its butlers. The butler's job is to make you feel pampered and relaxed during your stay. You can begin each day with a hand-ironed newspaper brought to your bedside with a morning tea. The hotel has just 138 uniquely decorated rooms and suites. It does not matter which room you book at the hotel - you still get the famous butler to fulfill your every need. Guests can have the butler prepare a relaxing bath in the large bathroom with luxurious robes. If you are looking for a romantic place to stay, you can't go wrong with this hotel. Restaurant Imperial serves traditional Viennese cuisine with a twist, combined with fine wines and mouthwatering desserts. Be sure to try the famous Imperial Torte, the recipe for which is still a secret. The cake is baked fresh at the hotel which receives orders for the Torte from all over the world. Room rates start at 360 Euro (imperialvienna.com). Kempinski Hotel Das Tirol is one of the finest boutique spa resorts in the world, located in a breathtaking alpine valley of the Kitzbuehel Alps. 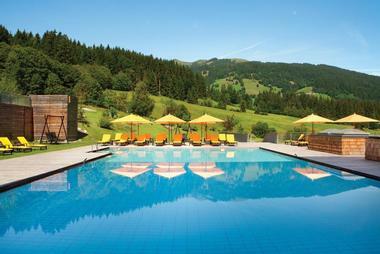 The hotel is near some of the best ski facilities and hiking trails in Europe, such as the legendary Strief piste. The airport of Salzburg is an hour and half from the hotel, while Munich is a two-hour drive. 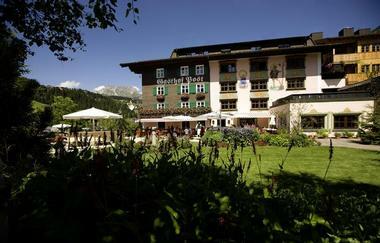 The hotel has 150 guestrooms and suites decorated in a Traditional Tyrolean style. Ask for a room with a view of the Alps when booking your stay. For the ultimate indulgence, book one the Penthouse suites which has a fireplace and a private outdoor terrace with a view of the mountains. Sra Bua serves international and regional specialties and is famous for its Pan-Asian dishes. The private dining room is ideal for special celebrations. Return after a day on the slopes and sit back and relax with a drink at the fireside Rubin Bar & Cigar Lounge which serves a great selection of wine, cognacs and other drinks. The Lobby Bar & Pastry is a family favorite, serving homemade chocolates and cakes. The Mountain Health Bar serves healthy snacks. 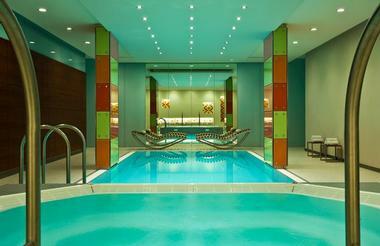 Kempinski The Spa is a relaxing oasis with five star facilities, including a lava sauna, pool and sauna. Professional wedding planners can help you realize the wedding of your dreams surrounded by the Kitzbuhel Alps in Austria. Rooms at the hotel start at 130 Euro per night (+43 5355 50100). Interalpen-Hotel Tyrol is located in the countryside of Austria on the Seefeld high plateau at an altitude of 1,300 meters. You will be surrounded by majestic mountains, green pastures and pristine lakes. Guests can de-stress at the 53,000 square foot spa which offers relaxing massage and amazing facilities. Arrive at the spa early to enjoy the Gem grotto Bio-sauna, steam bath and other amenities. In the summer, you can get a massage outdoors with a view of the mountains. Guest rooms and suites are decorated in Alpine style with oak flooring, walnut and pine furniture and a tiled stove. Ask for a room with a balcony and spend your vacation surrounded by the beautiful mountains. Luxury suites have large windows that reveal the stunning Alpine setting. The Panorama Suite is located on the top floor of the hotel and comes with a large roof terrace. Choose from themed buffets, a la carte dinner and a gala menu at the restaurant in the evenings on Sundays. The formal dinner every Sunday comes with live music. The Tyrolean parlor serves a vegetarian or a classic dinner menus. There is also the charming winter garden serving an extensive selection of cheeses and salads. Sit next to the open fire at the bar with a cocktail, cognac and the finest wine. The bar is cozy and sophisticated, a great meeting place for hotel guests. There is a swim-up bar at the hotel swimming pool. In the summer, there is golf, hiking, tennis, horseback riding and fishing. In the winter, the area offers skiing, sledding and horse-drawn sleigh rides. The scenic Seefeld-Woldmoos golf course and Seefeld Golf Academy are located nearby. The mountain hotel has an indoor tennis court, letting you plan a game of tennis year-round. Spend a few days in this pristine environment, enjoy the clean air, and you are sure to return home full of great memories. There are many fascinating day-trip destinations in the region. Guests can go skiing during the winter, and hiking and mountain biking in the summer. Room rates start at 358 Euro per night (+43 (0) 50809-3). Hotel Kristiania in Lech is a small luxury ski hotel offering its guests privacy and uniquely designed rooms on their ski or summer getaway to the Austrian Alps. Rated as one of the best mountain getaways in the Alps, Lech offers great skiing in the winter and hiking in the summer. Lech is set at an elevation of 1,450 to 2,450 meters above sea level. The hotel has just 29 guest rooms and suites, individually designed and ranging in style from traditional to modern. Hand picked contemporary art and antiques adorn the walls of guest accommodations and the hotel common areas. The hotel has a gourmet restaurant serving gourment cuisine with Austrian influences. The second restaurant serves casual meals next to an open fireplace. An extensive wine cellar complements the culinary creations at the restaurant. Most of the seating in the restaurants and bars are reserved for hotel guests so that when you stay at the hotel you don't have to worry about getting a table (the restaurants and bars are very popular with visitors and locals alike). 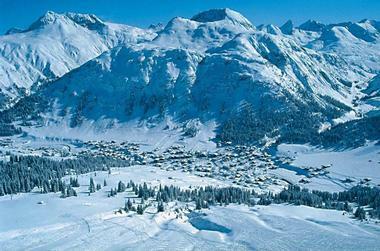 Lech is a paradise for skiers and snowboarders in the winter. The charming village is just steps from numerous slopes, including downhill and freeride. In town, you will find boutique shops, European-style cafes and restaurants. Room rates at Kristiania start at 435 Euro per night. 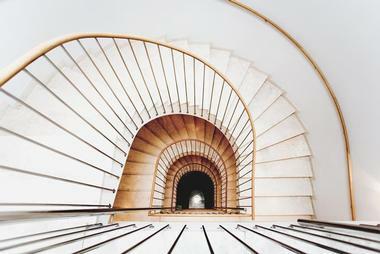 Le Meridien Vienna is an elegant getaway in Vienna. 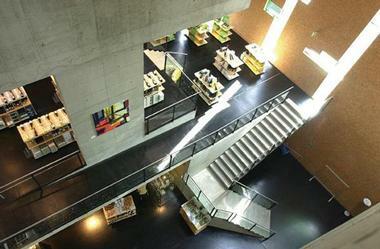 The hotel is located next to Vienna's State Opera, Academy of Fine Arts, Museum of Modern Art and many boutique shops. Art is incorporated into the modern design of the hotel. The hotel's Artist's Space supports emerging artists who exhibit their works. For those who like to stay active on vacation, the hotel has an indoor pool, jacuzzi and fitness club. The hotel has 294 rooms and suites with spacious bathrooms featuring Victorian tubs and free standing power showers. The exterior of the hotel is historic, while the interiors are very modern, from the lobby and the restaurants to the rooms and sick designer bathrooms. Taste innovative cuisine in a contemporary setting at Restaurant Shambala. Stay longer and save with the "Two ways to save" promotion which gives you 20% off on stays of 3 nights, and 30% off on stays of 7 nights. From 139 Euro/night. The Bed and Breakfast special starts at 217 Euro and includes free internet. Room rates start at 111 Euro per night (lemeridienvienna.com/en). Loisium Hotel is a unique Aveda wine spa getaway that features a number of innovative treatments, contemporary design with urban world-class architecture. Guests can relax next to the outdoor swimming pool and visit the state of the art spa. This is a getaway for honeymooners, couples, spa lovers and wine enthusiasts who want to learn about the vineyards of Austria. Langenlois, 60 minutes west of Vienna, is famous for its wine production, making the hotel the perfect destination for wine lovers and spa fans. The hotel was designed by Steven Holl Architects from New York, on top of a stunning 900-year-old wine vault system. The structure consists of three distinct pieces: the existing vaults which are accessible to guests, the wine center and a hotel. Earth materials, combined with strict geometric forms, frame the surrounding vineyards and country vistas. The ground floor is transparent and open, offering stunning views of the surroundings. Guest rooms are located above the glass structure, offering more privacy and elegant design. Aveda Wine spa spans three floors and offers holistic treatments. There are two relaxation lounges with views of the vineyards, and three types of saunas. There is the hot Finnish sauna, Soft sauna with lower temperatures and greater humidity, and the Amethyst steam bath which nurtures and relaxes. The spa bar offers a choice of herbal teas, fresh fruit and a selection of nuts. The spa butler stands by to spoil you in every way. If you fall in love with the products used in the spa treatments, head to the spa shop to pick up your favorites. There are 82 rooms and suites which float above the glass ground floor. Interior design is inspired by the elements of wine: cork-shaped lamps and original paintings. Classic double rooms measure 24 to 29 square meters in size and overlook the atrium. Prestige Rooms are 31 to 38 square meters in size and offer views of the vineyards. Prestige Deluxe Rooms are the most spacious, measuring 48 to 50 square meters in size, and offering views of both the vineyards and Langenlois. There is a wine themed restaurant, bar, cigar lounge, conference and meeting facilities, as well as a courtyard and terrace with outdoor seating. The vineyard restaurant showcases gourmet cuisine and award-winning local and international wines. Dishes incorporate the freshest local ingredients from the region. During the summer season, dinner is accompanied by a dinner concert. Holl Bar is the place to taste wine by the glass and learn all about the Austrian wine growing region. The bar is open daily until midnight. Nearby activities include biking the Kamp-Thaya-March route, the Kamptal bikeway and the Kulturpark tour which pass through Langenlois. The route to the Danube bikeway connects to this area as well. The hotel rents bikes and can prepare a delicious picnic to take with you. Find the perfect romantic spot for a summer picnic or a romantic sunset. Nightly room rates start at 83 Euro per person per night. Dinner starts at 30 Euro per person (+43 2734 77100-0). Das Triest is stylish romantic European hotel in Vienna, Austria. A member of Design Hotels, the hotel is a converted coach station on the route from Vienna to Trieste. The hotel has a garden, three lounges and a fitness studio with sauna and sun bed. The warm and inviting interior design is the work of Sir Terence Conran. Each of the 72 rooms at the hotel offer guests a relaxing environment from which to tour the sites of Vienna. Three categories of rooms area available: Suites, Junior Suites and Standard rooms. Collio, the hotel's 70-seat restaurant, serves modern northern Italian cuisine. The Silver Bar offers guests after dinner drinks and cocktails. The hotel is situated in the center of Vienna, about 10 minutes from St. Stephen's Cathedral. Room rates range from €192-€502 (+43 1 589 18-0). Vienna is the capital city of Austria and the 7th largest in the European Union. The city center is a UNESCO World Heritage Site, featuring Baroque castles, gardens, monuments and parks. Take a cruise along the Danube for a unique perspective of the city. Kunsthistorisches Museum across from Hofburg Palace houses an extensive art collection, including works by Rubens, Dürer, Van Dyck, Caravaggio, and Tintoretto. The 1,441-room Schönbrunn Palace, once the summer residence of the Hapsburg family, is one of the top tourist attractions in Vienna. The Vienna Zoo, located on the grounds of the Schönbrunn Palace, is the oldest zoo in the world and houses some of the most unique species in the world, including giant pandas. Surrounded by the scenic Austrian Alps, Innsbruck is a paradise for outdoor enthusiasts and has hosted the Winter Olympics twice. Activities include hiking, mountain biking and skiing in the winter. Visit the Tiroler Volkskunst-Museum which contains a collection of Tyrolean artifacts, including stoves and models of Tyrolean houses. The most popular ski destinations are Tyrol, Land Salzburg, and Vorarlberg. Salzburg, known as the birth city of the classical composer Wolfgang Amadeus Mozart, is located in northern Austria, 190 miles (310 km) from Vienna and 80 miles (130 km) from Munich. Every summer, Salzburg hosts a world-famous summer performing arts festival. Performances start on July 20 and last through September 2. Some music and drama performances are staged outdoors, while others take place in different concert halls. Domplatz, an open-air square fronting the Salzburg Cathedral seats 2,111 people and is used for the Hugo von Hofmannsthal's Jedermann performance during the festival. The opera program includes Don Giovanni, Turnadot, The Magic Flute, The Love of Danae and The Lady of the Lake. Ticket prices for opera performances range from Euro 15 to Euro 315. Classical music is performed by local and guest orchestra such as Vienna Philharmonic. Concerts include pieces by Haydn, Mozart, Beethoven, Bernstein and other composers. For festival schedule information and for reservations, visit www.salzburgfestival.at. The city can be reached by plane (Salzburg Airport), fast train from other European cities or by car. 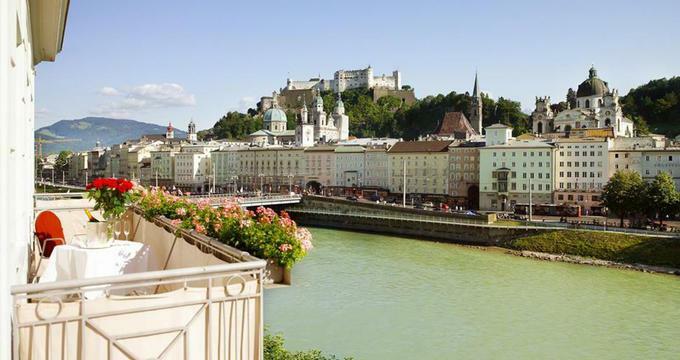 For accommodations in Salzburg, visit www.salzburginfo.at. Mozart's birthplace in Salzburg, where the Mozart family lived from 1747 to 1773, has been turned into a museum featuring historic rooms and instruments, including Mozart's concert piano, clavichord and violin. The museum, a must-see for anyone interested in historic instruments, is located at Getreidegasse no. 9.